Ponte Giulio contributes to the development of Ambient Assisted Living (AAL), thanks to its participation in the Mo.Di.Pro project. 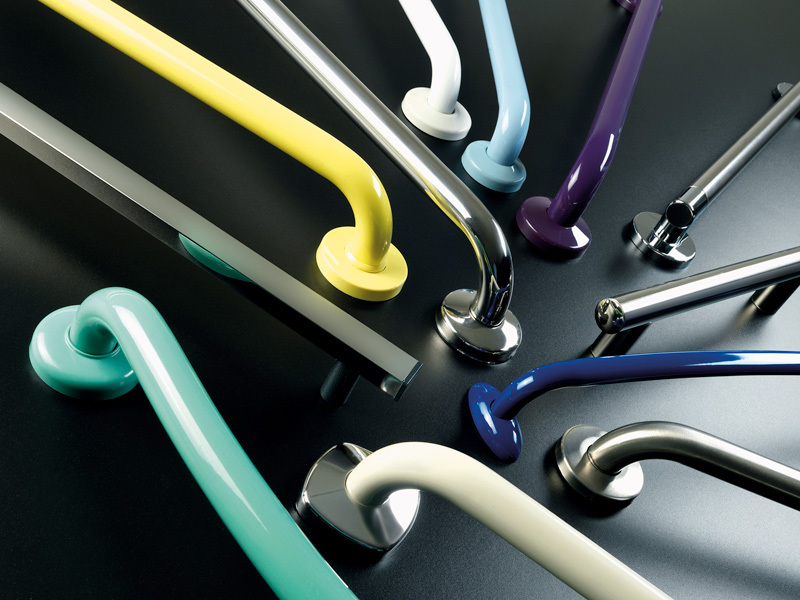 The Prestigio+ range has been developed by the in-house laboratory D_sign lab in order to offer elegant grab rails. Domestic accidents can involve people of any age. But, elderly people in particular are the most vulnerable to the consequences of an accident, as injuries to the body can be more serious in old age. 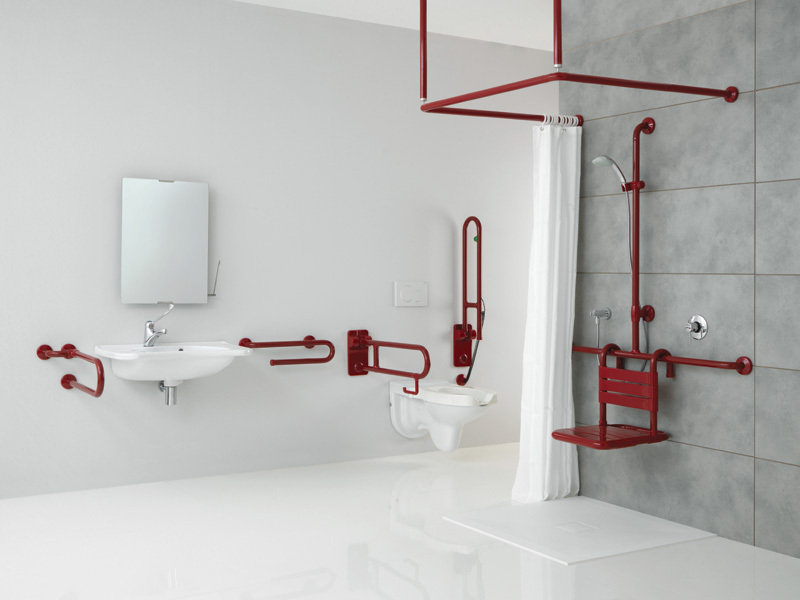 Much-loved Italian inclusive designer Ponte Giulio has updated its UK website to enhance user experience with new icons aimed at identifying private end-users, architects, fitters and healthcare professionals. Solution for the children bathroom with rectangular double washbasin made in acrylic stone with basins in white colour and body in yellow. The product is supplied with fixing brackets. Worktop with baby changing station in acrylic stone, white colour and with semi-bright finish. The raw material is non toxic and anti bacterial. The item can be customised based on shape and dimension. Handy pieces of furniture and accessories for any children bathroom. They have no frame and can be installed freely based on specific needs. The mirrors come with their holders and safety glass. Bathroom environment for children designed with products from the Bagnocucciolo collection. 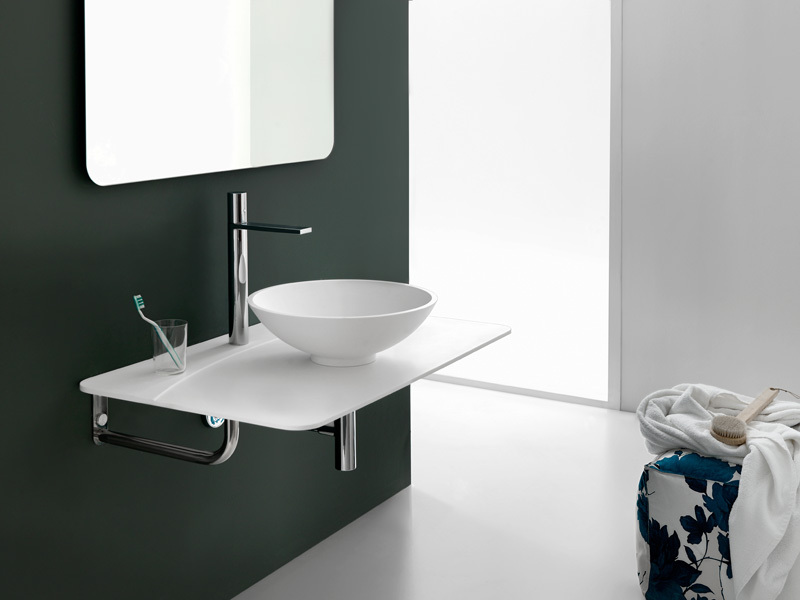 WC bowls in ceramic, customisable wash basins in acrylic stone and bathroom accessories for children. Bathroom environment with wall-hung WCs,. 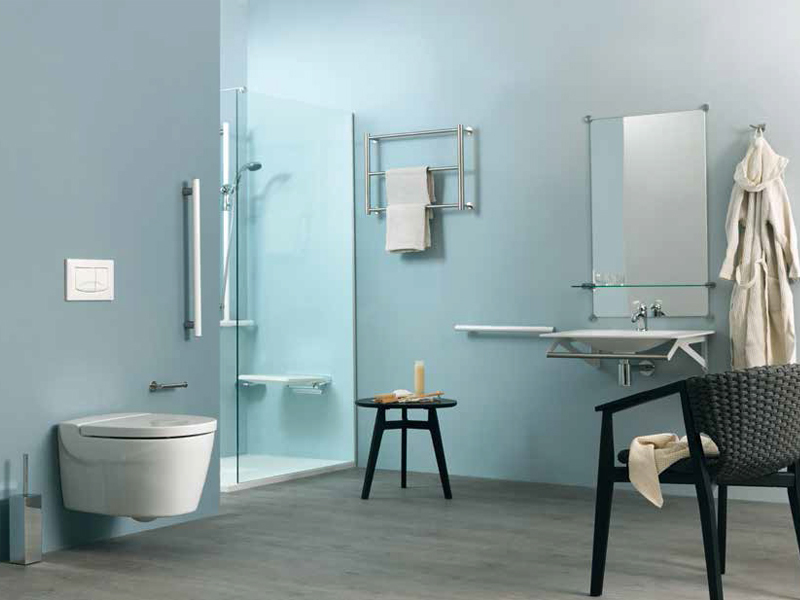 The bathroom accessories include HPL wall partitions and a rail with glass holders from the “Jungle” range. These bathroom products for children are conceived to be simply installed and fitted freely along a wall no matter where the drain and water supply systems are located.